It seems everyone is overwhelmed by email these days, with every inbox piling up humungous lists of messages that are usually not too important. 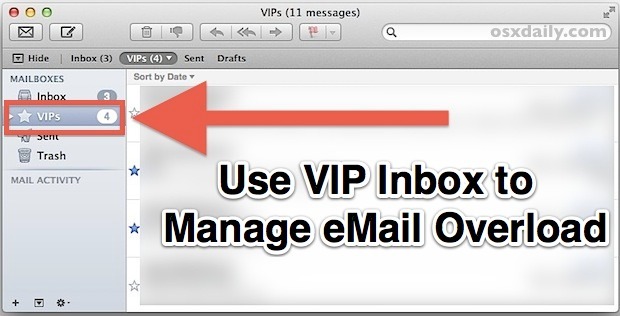 If you’re tired of the email onslaught and use the Mac Mail app as your email client, you can use the VIP feature to better manage your mailbox. Senders tagged as VIP get pushed to their own VIP inbox, helping you overlook all the crud and get straight to the important stuff. 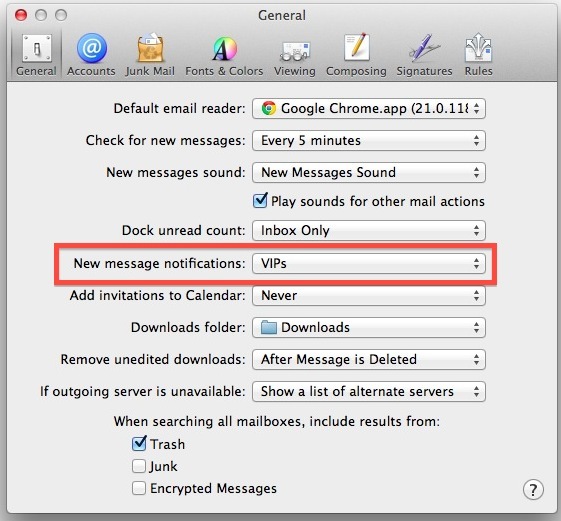 Going a step further, you can also set Mail app to only trigger a notification when a message comes from a VIP sender. Now that you have a list of people you actually need to hear from and reply to, look under “Mailboxes” to see an exclusive inbox just for VIPs. By default though, you’ll still be notified when everyone sends you emails, so next up you’ll want to change that to only notify you when you get a message from a VIP sender. 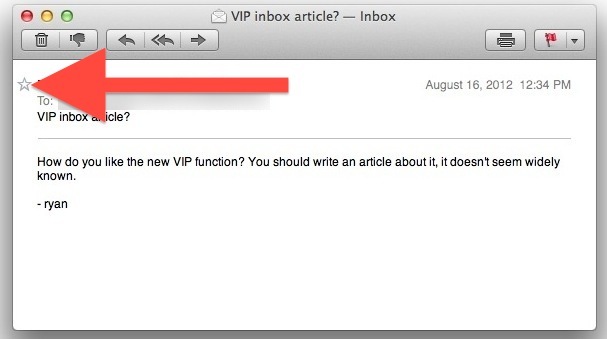 Now new email alerts will only trigger when someone marked as VIP sends you a message. Use the VIP list strategically to mark only the most crucial people to respond to and you’ll find the noise level of your inbox is dramatically reduced. Whether it’s your boss, important (and direct) coworkers, crucial business partners, close family members, the key point is to be discriminatory in who is marked and who isn’t, letting you focus on what’s important. You can always check your generic inbox after work is over or during your lunch break and sort through the rest of the email hooplah. Another strategy to deal with email onslaught is to set up a unique account for generic web signups, mailing lists, newsletters, and other less important updates that you’d still like to receive, helping to insure your primary productive inbox doesn’t get inundated. The myriad of free webmail providers make this simple, and Gmail, Yahoo, and even the new Outlook.com can all be setup in Mail app. You’ll need to be running OS X 10.8 or later to take advantage of the VIP inbox, yet another reason to upgrade to Mountain Lion if you haven’t done so yet.